Summer camp was a blast. Friends. Swimming Pool. Freedom. And yet… what was one of the most anticipated moments of the day? Mail time! The counselors would go to the main office and return to the cabin, hopefully with a letter, or better yet, a care package from home. Yes, I might be far away from home. But I was not forgotten. Someone cared for me enough, missed me enough, to put together an entire package, box it up, and send it to me. One of the best parts of Purim is the opportunity to send all the love of a summer camp care package, right in the middle of the year. All ready to go! These beautiful mishloach manot baskets are for a congregational project run by my friend Rabbi Shoshanah Tornberg. What a great idea to build community connection! These packages are called mishloach manot, which literally means “sending of portions.” Mishloach manot go all the way back to the Bible. 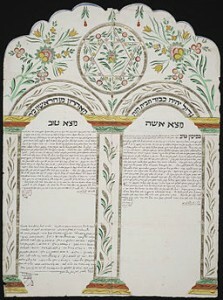 The Book of Esther, which tells the story of Purim, commands the Jewish people to observe the days of Purim “as days of feasting and gladness, and sending portions of food to one another, and gifts to the poor” (9:22). 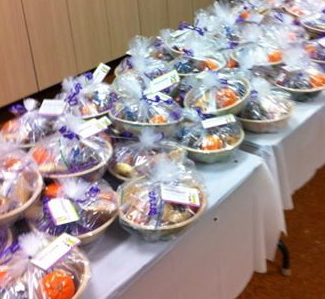 The idea behind mishloach manot is to (a) make sure that everyone has something special to eat for Purim and (b) increase the love and connections amongst the members of the community. 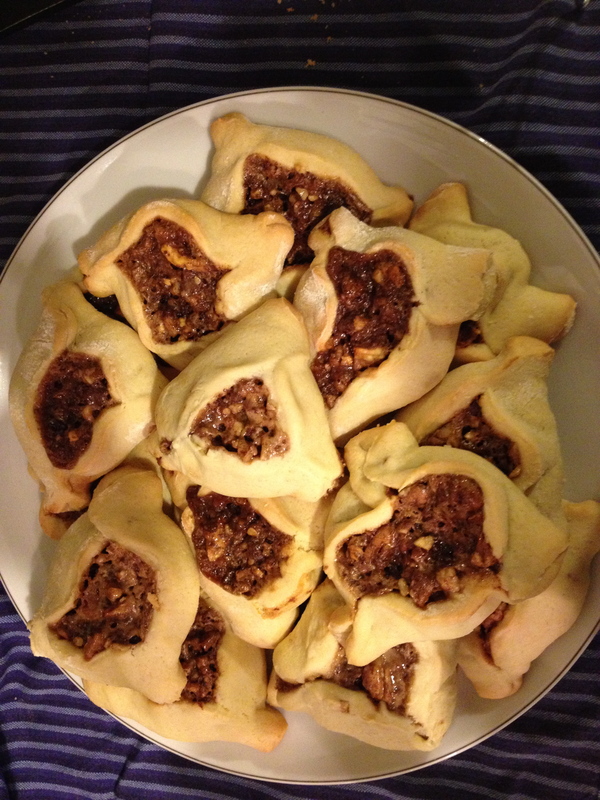 Many people enjoy baking special Purim treats for their mishloach manot packages. But this is not required. Chocolate bars, snack food and other pre-packaged treats are fine too. 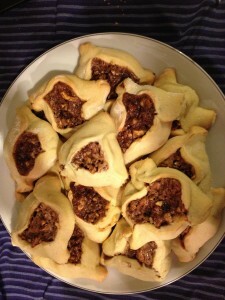 You can send mishloach manot to friends in town. Or they can be a great way to reconnect with family and friends across the country. All that is required is your love, care and thoughtfulness!